Tulle and silk leaves on a clip-style headpiece/veil. Bride chose mustard and canola as her wedding colors of choice. Country wedding! 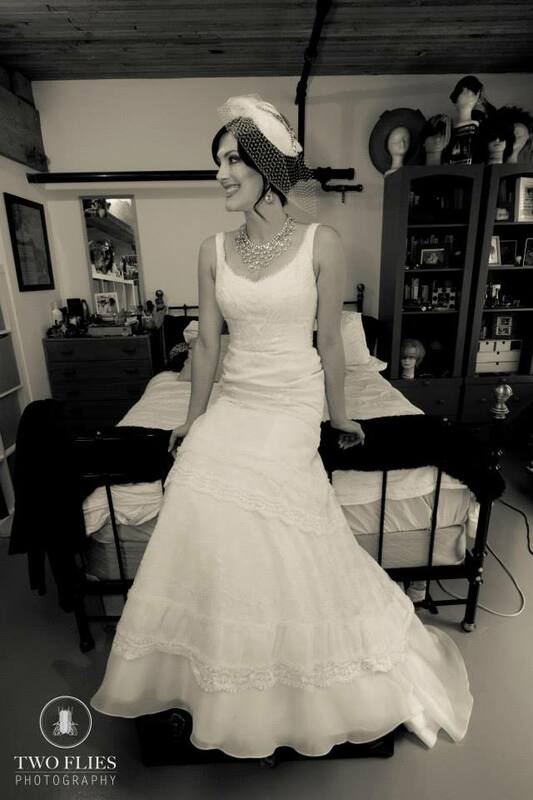 We love photos of real brides! Don’t be shy. Send a pic of you on your big day in your A Bird In The Hair adornment and we can post to our gallery.